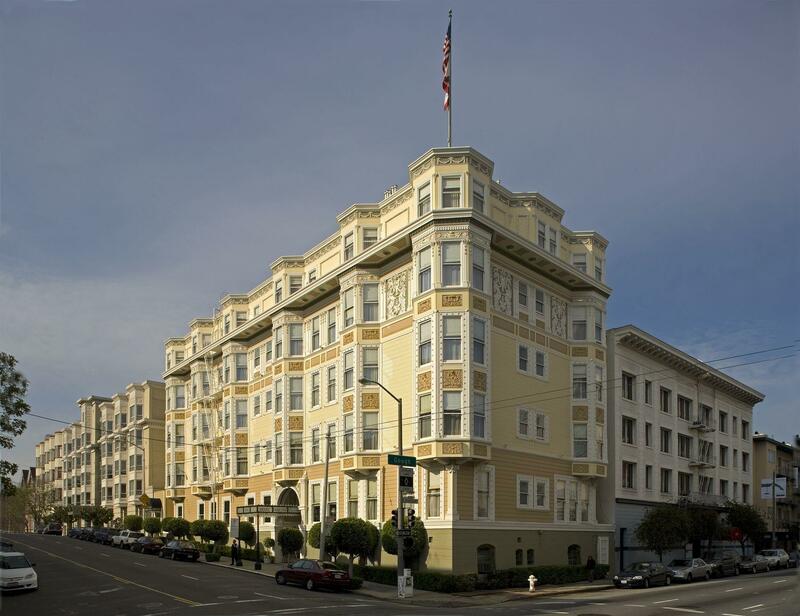 Located in the Pacific Heights neighborhood, our classic, European-inspired boutique hotel is just a short ten blocks away from the Union Square shops and restaurants of downtown San Francisco. Our quiet surroundings offer a conveniently located romantic escape from the downtown bustle and distractions. Additionally, our hotel is 13 miles from SFO airport and 21 miles from OAK airport. For more information about the Hotel Majestic or to book accommodations for an upcoming visit to San Francisco, please contact us today. The Hotel Majestic provides valet parking service on a first-come first-served basis. Our hotel guests may utilize our convenient valet parking service for a fee of $40 overnight with in-and-out privilege between 6am-12am midnight. For certain over-sized vehicles, parking fee is $50 overnight. Special event parking fee is $15 for up to 5 hours. Vehicles are stored in a secure parking garage located in a separate building across the street from the hotel. Please pull up at the loading/unloading zone out front the main entrance and hand your key to the valet. San Francisco MUNI bus lines 2 and 3 are available just outside the Hotel Majestic to provide you with easy access in and around the city. Muni Metro Train and Cable Car stations are within walking distance. Golden Gate Transit and Ferry are also easily accessible, connecting you to outlying cities located northeast of San Francisco. The Caltrain station is about two miles away from the Hotel Majestic, connecting San Francisco with San Jose. In addition, the BART subway system is a great way to travel in and out of San Francisco, connecting to different cities within the greater San Francisco Bay Area. BART also links to both San Francisco International Airport (SFO) and Oakland International Airport (OAK). At ​San Francisco Airport, as you exit the baggage area, there will be several shuttle buses waiting for passengers curbside. The fare is usually under $20 one way to downtown San Francisco and requires no reservations. For your trip back to SFO airport from the hotel, our hotel concierge can assist you with booking for a fee of $18 per person. The airport shuttles are shared van rides that drop you off door-to-door at different hotels and back for a fee. Fees may vary according to shuttle company and distance to and from the airport.